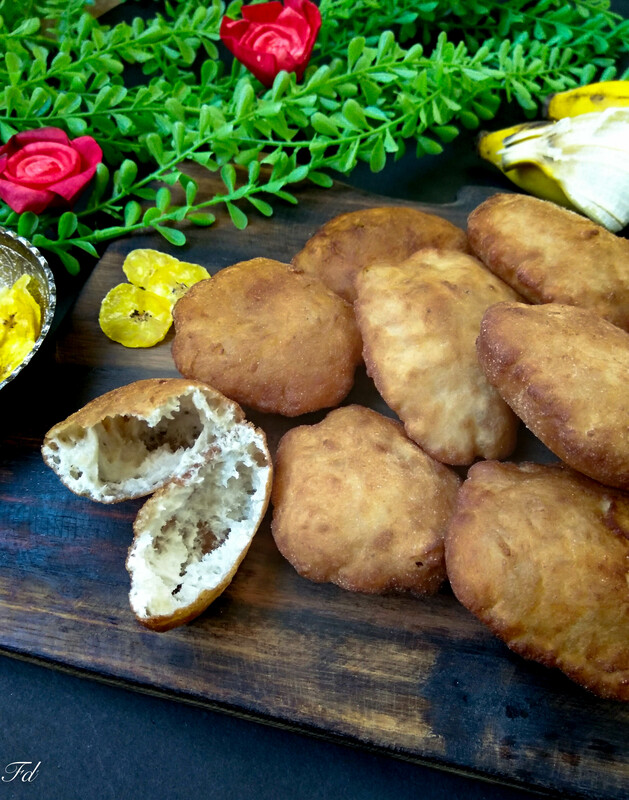 Mangalore buns or banana buns are mild sweet buns, from Udupi cuisine. This buns can be served for breakfast or as snacks. A good recipe, if you have very ripe bananas at home. Banana buns can be stored for a day or two. Kids will love this in their snack box. 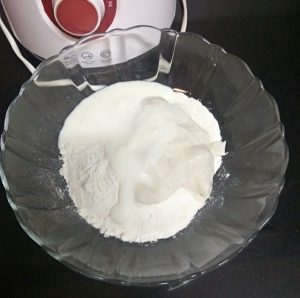 Using a blender, blend banana to a smooth paste. Add maida, baking soda, powdered sugar, yoghurt, banana paste, salt and knead to a smooth dough. Allow the dough to rest for 5-6 hours to ferment. Lightly knead the dough again. 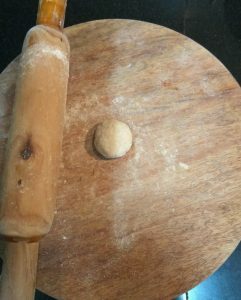 Divide the dough into equal size balls (lemon size balls). Roll out the to make round thick (5-6 cm in diameter about 1/2 cm thick) buns. Heat oil in a frying pan deep fry the buns on both side. Remove and place on a paper towel to absorb the excess oil. 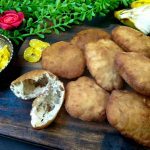 Buns can be consumed alone or serve with coconut chutney. *Add yoghurt accordingly to make dough. *Allow the dough to rest for at least 5-6 hours. 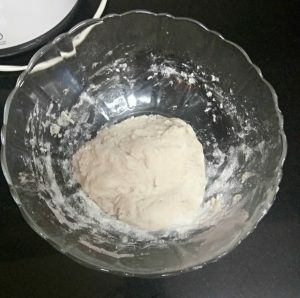 *Allow the dough to rest and knead the dough again before rolling out. *Roll out the balls to make thick buns (1/2 to 1cm think not more than that). 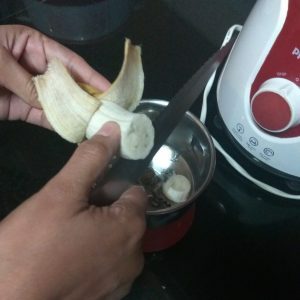 1.Using a blender, blend banana to a smooth paste. 2. Add maida, baking soda, powdered sugar, yoghurt, banana paste, salt and knead to a smooth dough. 3.Allow the dough to rest for 5-6 hours to ferment. 4. Lightly knead the dough again. 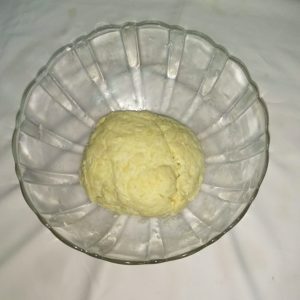 Divide the dough into equal size balls (lemon size balls). Roll out the to make round thick (5-6 cm in diameter about 1/2 cm thick) buns. 5. 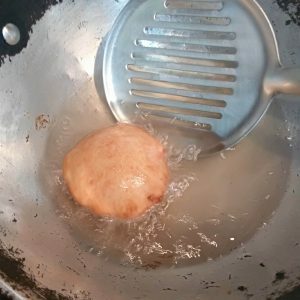 Heat oil in a frying pan deep fry the buns on both side. Remove and place on a paper towel to absorb the excess oil.